Nookii - The grown up game for playful couples. 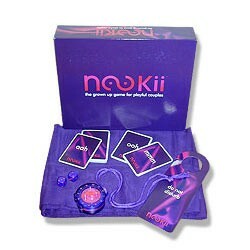 Nookii: voted best adult game; the number best seller on amazon.co.uk; as seen on TV. A must-have for a playful night with your loved one.